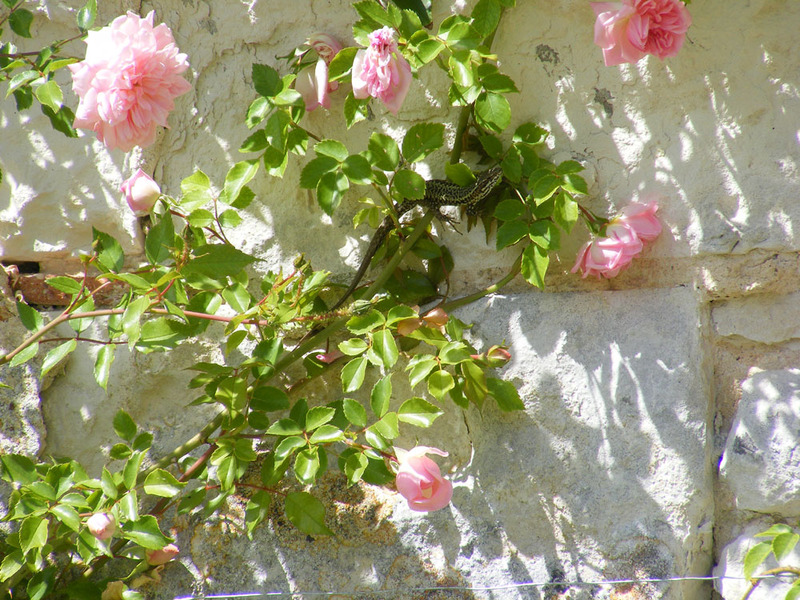 There was plenty of lizard action on the walls of this old house (near Charnizay, owned by friends Ceri and James) when we visited one hot day in late May. The European Wall Lizards Podarcis muralis (Fr. lézards des murailles) were dashing about amongst the climbing roses, occasionally wrestling and generally looking fairly frisky indeed. I can see clearly the lizard’s head; the rest of its body looks like small branches. Lovely photo.